Cut the chicken into long strips. Beat the egg in a bowl and add season with sugar, salt and pepper. Soak the strips in this egg mixture for 5 minutes. 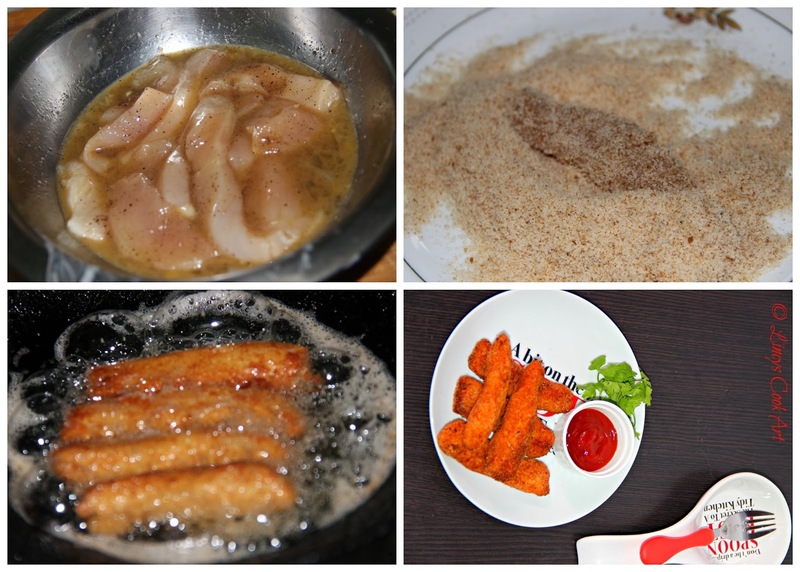 Take chicken strips and coat with breadcrumbs. Deep fry this in hot oil on medium flame till golden brown. Serve with ketch up or mayonnaise. Looks very crispy. I like the presentation and beautiful clicks too. 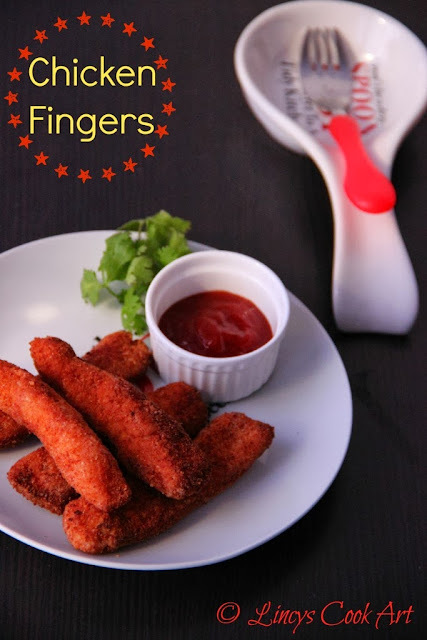 Delicious chicken fingers looks awesome.